The village of Trent is conveniently located on the old historic trading route (also called “Heringsstraße”), which led from Stralsund via Samtens, Gingst and Kluis to the Wittow peninsula. The village of Trent is a typical village of Rügen with a centuries-old peasant tradition. The church of the place is one of the oldest religious buildings in Rügen. It was already documented in 1318. Trent is also one of the oldest Rügen church villages. Today Trent has about 700 inhabitants. As has been the case many centuries before, the main branch of agriculture is agriculture. 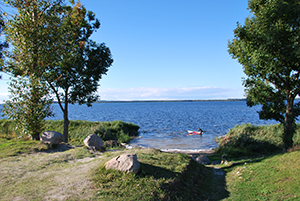 From Trent, beaches, rocks, dunes and forests can be explored in different ways. The Jasmund National Park was partially declared a World Heritage Site for its existence of ancient beeches. 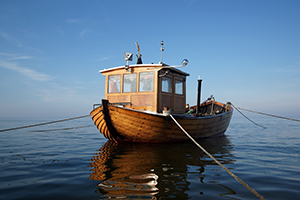 The maritime flair is best felt by the guests on a ride with the Wittower ferry which connects the Rügen Muttland to the peninsula via the Wieker Bodden. Sports enthusiasts also have the opportunity to take the kite or wind surfing through the Bodden. From our house Seestern as base there are very nice hiking and biking opportunities (bikes & e-bikes can be rented at the hotel). Directly behind our property, a path begins on the banks of the Rassow Channel towards the west (magnificent views of the Bug peninsula). The trail leeds to the “Seehof”, the former starting point for the crossing to the island Hiddensee. When you continue towards your left, you get to the “Stolperhaken”, the narrowest point between the shores of Rügen and Hiddensee (1,000 m). Here also lies the “Schwedenschanze” built in the Northern War, but its ramparts are hardly recognizable. Continue south along the Schaproder Bodden to Poggenhof and then finally to Schaprode. After staying there and getting to know the port and the village, the bus can be taken back to Trent. (Hiking trail about 12 km – also possible as a bicycle trip, but then probably more interesting to return via Udars and Granskevitz). Next to the small bathing area near the house at the hotel beach, you will find the nearest swimming facilities in Schaprode and in Poggenhof. 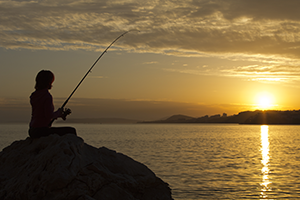 The fine sand and the shallow shores of the lagoon make make it especially for small children an absolute highlight. A little further away are the beaches of Suhrendorf on Ummanz or the Banzelvitz hills at the Great Jasmund Bodden. 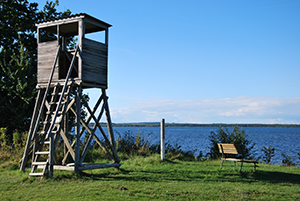 The open Baltic Sea can be best enjoyed on the wide beaches of Schaabe, which can be reached via the Wittower ferry, Wiek and Juliusruh in about about 20 mins. 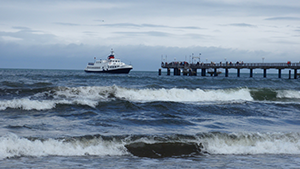 Today, as well as 100 years ago, the “Wittow ferry” connects Northwest Rügen with the Wittow peninsula. From 1896 to 1971 also the trains of the Rügen Kleinbahn were trajectiert. Today tourists are transported by modern ferries together with their bicycles, cars and even in large buses. The westernmost place on the island of Rügen, is probably one of the oldest settlements and is mentioned in the Pomeranian Land Register 1193 for the first time. The picturesque river, Schaprode, which separates the village from the island of “Oehe” provides a protected natural harbor at its mouth. 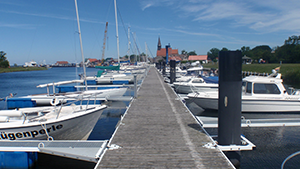 The port of Schaprode is one of the major exit points for any excursion traffic to the car-free island Hiddensee. Every year, there are up to 16 ferry departures any day to all three island harbors of Hiddensee, the most sun-drenched place in all of Germany. Or let the wind blow around you when you cross the river with a watertaxi. 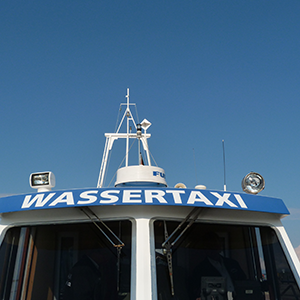 The water taxi runs between Schaprode and the three ports of the island. They represent a flexible alternative to the scheduled liner service. 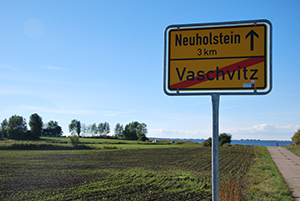 In addition, excursions from Schaprode to the “Vorpommersche Boddenlandschaft” are offered. Sailors and motor skippers will find a place in the harbor to moor. Not to forget the possibility to rent a sailing boat, a motor boat or a surfboard. In the area are several providers and rental services. Please note: The village is closed to vehicles over 2.8 t. There is a large parking area at the entrance to the village. From there it is only about 500 m to the port.